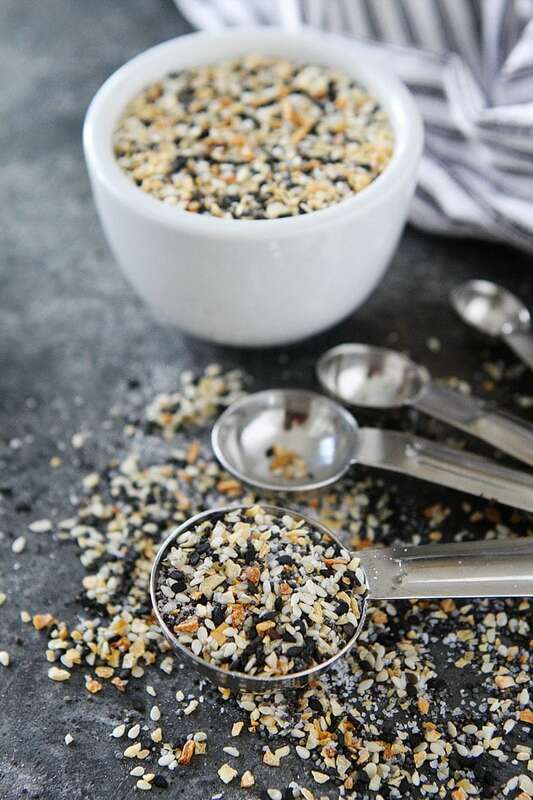 Everything Bagel Seasoning- How to make your own Everything Bagel Seasoning at home! It only takes 5 spices and 5 minutes to make! I have been buying Everything Bagel Seasoning for awhile now because I am obsessed with my Everything Bagel Avocado Toast. 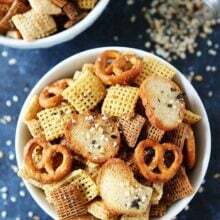 It is one of my go to breakfasts and snacks. Well, one day I ran out, so I decided to make my own seasoning. It only takes 5 minutes to make and you probably have all of the ingredients in your spice cabinet. I like to use flaked sea salt for the seasoning mix, but if you don’t have it you can substitute coarse salt instead. 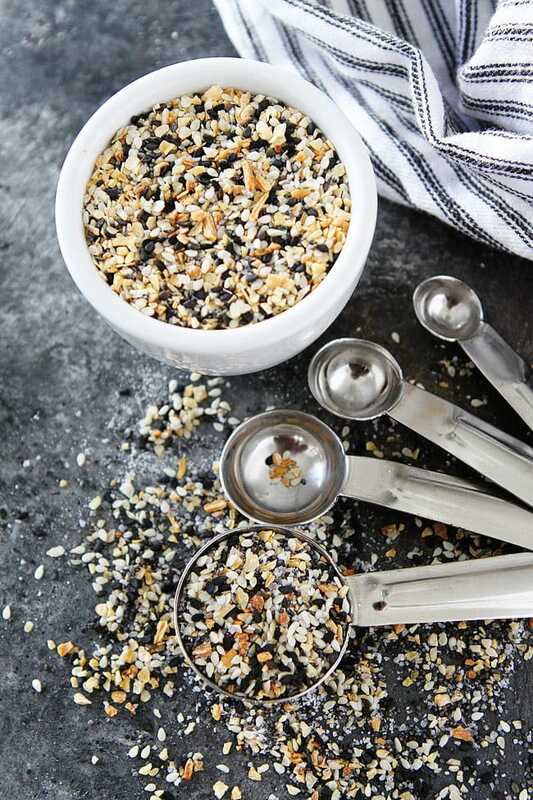 So now that we have all of our spices ready to go, let’s make the Everything Bagel Seasoning. All you have to do is combine the spices in a bowl and stir. That is it! Store the spice blend in a sealed jar or container until you are ready to use. The options are endless! 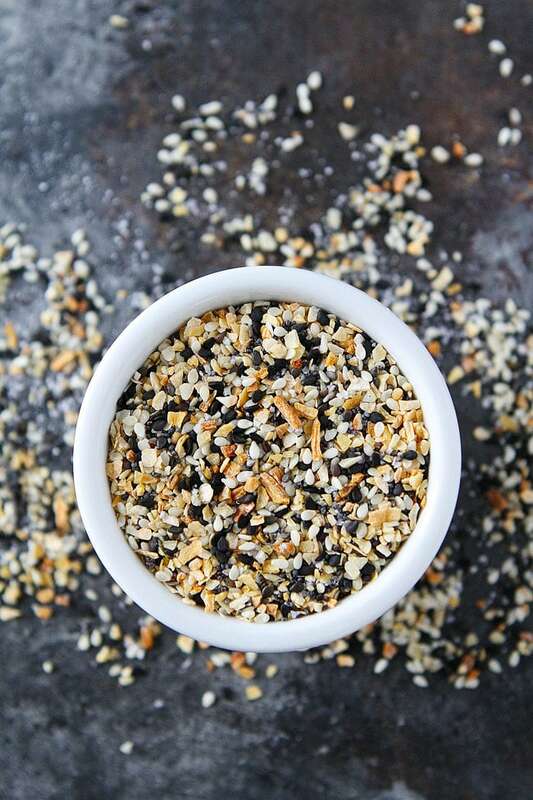 Mix up your own DIY Everything Bagel Seasoning and let us know how you like to use it. Use it freely because now you know how to make it at home, you will never have to guy it again! YAY! 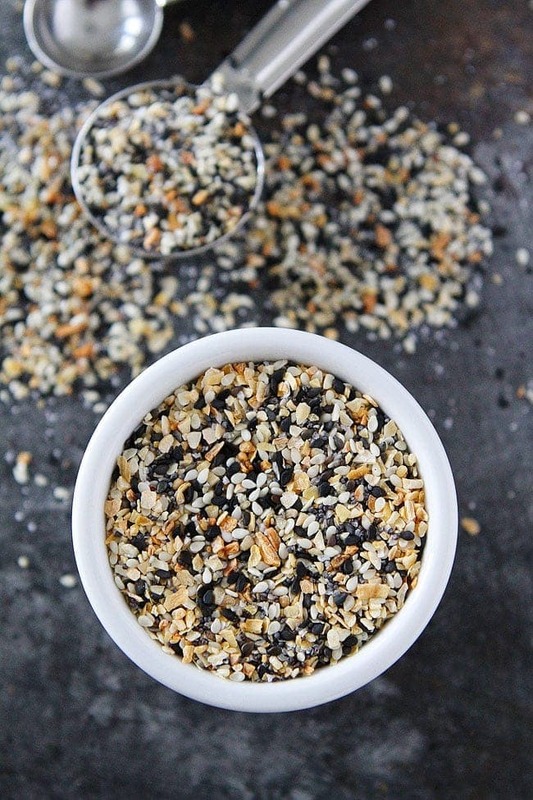 Make your own Everything Bagel Seasoning at home! It only takes 5 spices and 5 minutes to make! I couldn’t find black sesame seeds at my grocery. Did you buy them at a specialty store? Thanks! I bought them at Smith’s, a Kroger store. 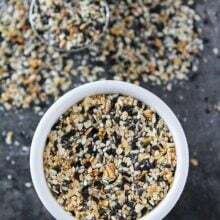 Black sesame seed can be found at Indian, Pakistani and health food stores. Pensey’s spices carry it either in your local store or by mail and Amazon will mail it to you anywhere. This is wonderful!! I never thought of doing this myself and now I can’t wait to make your recipe, but I did purchase the new seasoning with the same name at Trader Joe’s. One favorite way I use it other than on muffins and bread is mixing it with fresh mozzarella cheese and serving it on toast or on top of fresh sliced tomatoes… a quick melt under the broiler takes this over the top. Now my husband enjoys the cheese!! It is also great on scrambled eggs….. Thank you so much for this. If anybody makes whole wheat everything bagels, I can’t find them where I live. Now I can have everything on any bagel I want, as much as I want. I plan to dress baked potatoes with it, too. I did leave out the salt. For me, it turns out it isn’t necessary. I just love this so much. 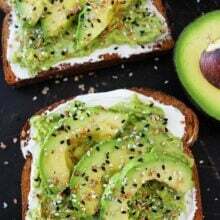 My husband and I have been obsessed with this for months now (favorite combo for us is mashed avocado on top toasted bagel half with a GENEROUS sprinkle of this mix). I am having a brunch this month and am making this mix and putting it in 125ml jars for each guest as a little gift. Love you site – thank you!! So happy you are loving the seasoning and our site! Thanks for sharing! That sounds absolutely wonderful! Can not wait to try! I put this on everything but fruit, but the day may come when I just want to throw those into the menu as well!!! Tastes just like TJ’s. We are happy! 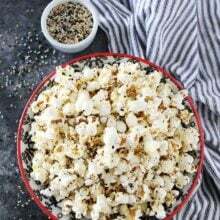 I can’t find black sesame seeds, can I make this without them or will it just not taste the same. Seems like the only place around me (Canada) is amazon and it’s expensive. I don’t where you are but I live in London Ontario, and I go to Remark and they have them at a reasonable price. I realize this is late news for you, but for future reference, and possibly just asking in the grocery store to order them in. They might have them at a Kroger brand store if there’s one by you. I found an organic bag of it at a decent price on Amazon! There were several choices and sizes available, check it out! Asian food stores carry it. Love this recipe!! Use it on my air fryer bagels. What is “course” salt? Or do you mean “coarse”? Definitely misspelled, should be “coarse” salt. Do the sesame seeds have to be toasted ? 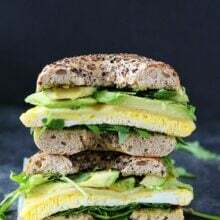 I use the seasoning mix to make egg salad sandwich for lunch today. Tastes delicious! I just made a batch of this to refill my TJ’s bottle instead of buying another one. Not only is it essentially a perfect copycat of my favorite seasoning blend, it actually fills up the empty bottle perfectly! Thank you for this! Do you need to refrigerate the everything bagel seasonings? How long can you keep it, in cupboard or in refrigerator?